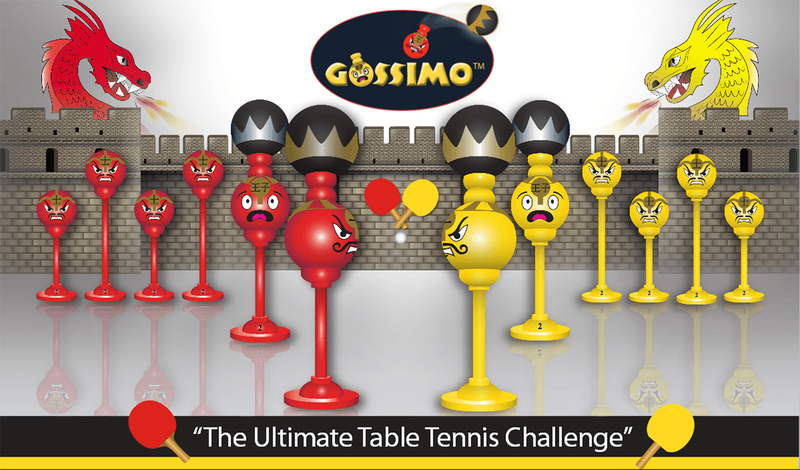 Gossimo™ is a revolutionary, new and exciting spin on the CENTURY OLD game of table tennis. 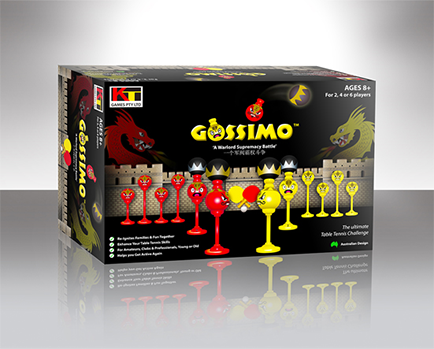 Gossimo™ is a fast paced exciting game suitable for players aged 8 to 88. Play with the family for an all out family fun battle or challenge your friends. This challenging game gets everyone on their feet, immersing players in an adventure through ancient China..
Involving physical coordination and strategy this warlord supremacy battle will test your skills as you take on your opponent warlord, their warriors and ultimately their kingdom (state). Who will reign supreme? Start playing today to find out! Take Your Army Into Battle! Can YOU reign supreme and break through the Dragon Wall to defeat your opposing Warlord What’s more, you will need to return the timid Gossimo Prince into battle at every opportunity to help his transition into a fearless Warrior King! Add your points from each battle, including your banking points, to determine the ‘Warlord successor’. Remember — the Opposing King must be the LAST to fall during each battle. Gossimo™ by KT Games is great fun for the whole family! 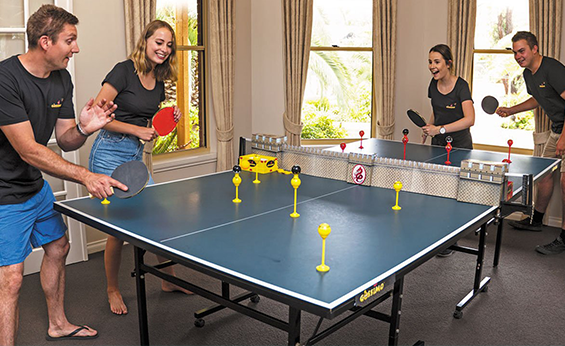 A fast paced, exciting twist on table tennis, Gossimo™ lets you take your table tennis skills to the next level as you battle to reign supreme. 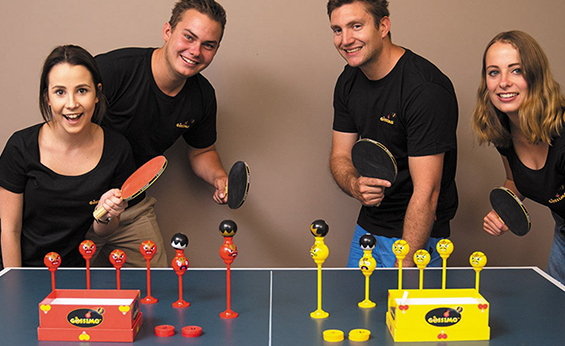 Place your order for Gossimo™ online today for delivery around Australia and worldwide!